The Skydome Shoes and Bags Sale in SM City North Edsa features the most amazing display of premium brands of shoes, bags, luggage and apparel in the city ! 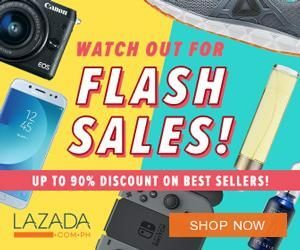 Join the payday shopping madness and get more than your money’s worth at the biggest parade of shoes, bags, luggage and apparel in the city at best prices. Explore the Skydome Shoes and Bags Sale event and enjoy up to 50% OFF on your favorite shoes, bags and luggage brands. 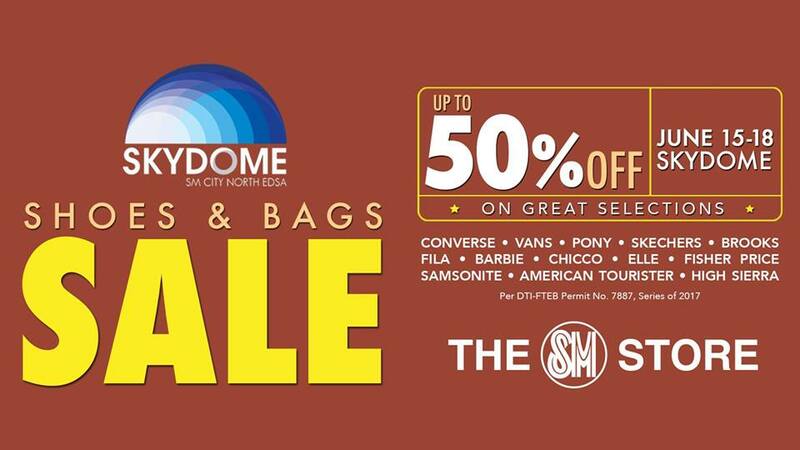 The Skydome Shoes and Bags Sale will run from June 15-18! Yes, it is a 4-day event. Tag your fashion-savvy squad and head over to SM City North Edsa for another round of shopping spree! Admission is absolutely FREE! Visit their official Facebook Page for more updates on this exciting event.